GrandAmGT.com Forum - View Single Post - Forgot gifts for your favorite car nut? We have the solution @ PFYC-PartsForYourCar! Thread: Forgot gifts for your favorite car nut? We have the solution @ PFYC-PartsForYourCar! Forgot gifts for your favorite car nut? We have the solution @ PFYC-PartsForYourCar! 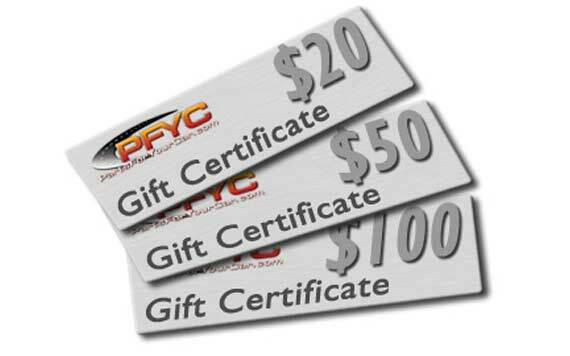 It's not too late yet - gift certificates on sale @ PFYC - PartsForYourCar! Forgot to get something for your favorite car nut? Save 10% on gift certificates from now through Christmas. Use them for yourself or others. Delivered instantly and via email, these will never expire and we do not ever charge fees or have silly rules. It's just your good old fashioned gift certificate. Use promo code ITSNOT2L8 until December 25, 2012 to save 10%.